For more than 30 years the Sensi family has been producing their renowned line of sandalwear with consummate attention to fine detail and unmatched quality. Sensi blends timeless Italian styling with uniquely functional design to create SENSI SANDALS... Italy's Unique Sandalwear! More comfortable than barefoot... Sensi sandals are crafted from durable, lightweight PVC that sheds water and smoothly caresses skin. 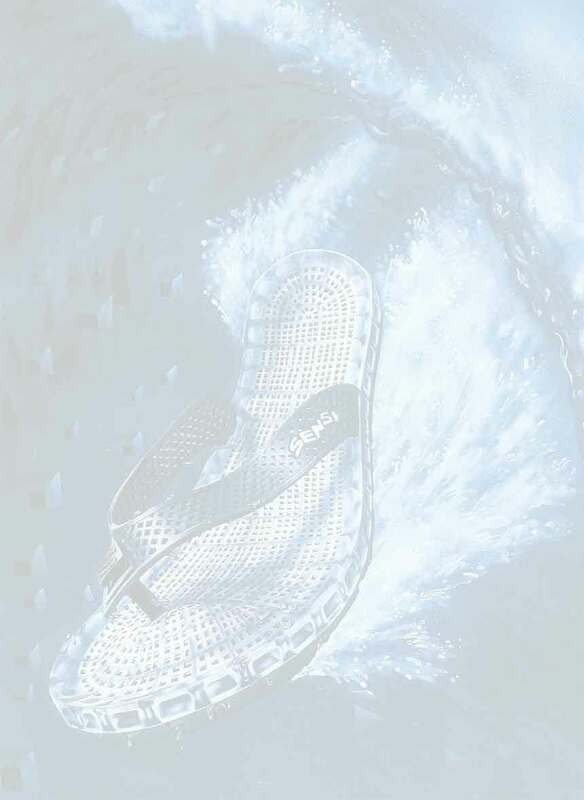 All Sensi sandals are 100% waterproof! Made in Italy... Each pair of Sensi's are hand-assembled. Note the fine details - straps and soles are soft and flexible, soles have shock-absorbing cushioning with skid-resistant bottoms, contoured footbeds support and conform to feet, thong posts are thin and smooth for added comfort. Sensi Sandals make stylish sense all year round... Sensi sandals are perfect for the beach and poolside - they look great with casualwear too! A "natural" for foot protection in the shower and locker room, after workout or massage, and for travel. Every gym bag should have a pair of Sensi sandals! Ventilated footbed keeps feet cooler and dryer... Sensi's patented drainage system utilizes a perforated footbed to drain water and sand out away from feet while cool air circulates in underfoot. From the shores of the Mediterranean to the stores of Manhattan and beyond - Sensi sandals remain a favorite of men and women around the world. 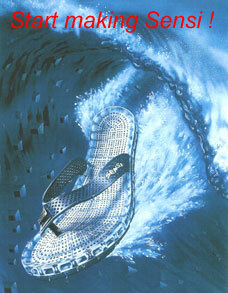 Drainage... All Sensi sandals utilize our unique patented footbed. Perforations in the footbed allow water and sand to flow through and be pumped out of side ports as you walk, allowing cool air to flow in underfoot. Website designed by Carioca webdesign. All Rights Reserved.